Because I believe books are historically our richest, most accessible educational resources, I read at least five pages a day (8-10 books per year) and listen to at least one audiobook per month (another 12 yearly). In this section, you’ll find info on the books I’ve authored or been included in, as well as my favorite reads and/or listens on Audible. Whether you’ve recently injured your back or suffer from chronic discomfort, you know the impact pain has on your daily life. In Practical Solutions for Back Pain Relief, “mobility maker” Dana Santas CSCS, E-YRT shares the physical and mental exercises she teaches professional athletes to relieve your back pain without drugs or surgery. With exercises designed to help you build the strength and flexibility you need to support healthy, pain-free movement throughout your spine, this is a proactive plan to heal from back pain. Strengthen your core, reduce pain, and heal your back with the exercises from Practical Solutions for Back Pain Relief. Dana obviously brings a wealth of professional credibility to her new book, but what I fully appreciate is her willingness to include her personal story of back pain. Although we don’t seem to mind our eye doctor wearing glasses, as it may offer them a better perspective on what it’s like to have impaired vision to better serve their patients, too many of us in coaching feel we cannot experience the same issues as our players/clients—let alone share them. From an empathic viewpoint, Dana offers a holistic and wide body of evidence and ideas past traditional methods in a sound and concise manner with an easy-to-follow plan. Over my career in pro sports, I have seen some back injuries derail careers while other elite athletes have learned to manage their challenges and go on to prosperous careers. Reading Dana’s simple and clear teachings can help anyone from an elite athlete to a weekend warrior better understand how their back works as well as the mind body connection that clearly impacts pain and performance. Santas uses this insight to help each individual determine the best plan for their needs in order to get back to activity, remain pain free and engage in activity at any level we desire. The book is easy to read and helpful for a competitor at any level who has experienced a setback due to back pain. Dana is an experienced, passionate and knowledgeable teacher. Her insights in quality movement and appropriate breathing techniques will inspire you to actively alleviate your back pain and improve your quality of life. I believe in her so much; I encourage all of my professional baseball players to participate in her program. 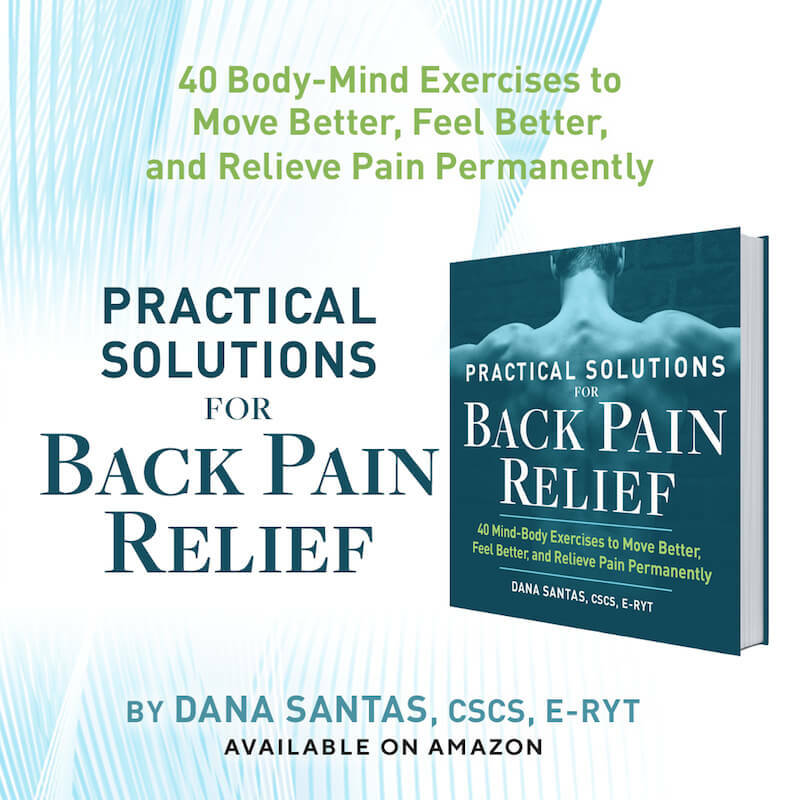 Dana’s book ‘Practical Solutions for Back Pain Relief’ is, first and foremost, practical. This book walks us through everything we need to know about relieving back pain issues. I believe what I was told as a young athlete concerning back issues: it is a question of when, not ‘if.’ Dana’s book may be the solution to dealing with the inevitable AND keeping this issue as a mere hurdle not a crash. I highly recommend [it]. Emerson: The Mind on Fire by Robert Richardson, Jr.
Henry Thoreau: A Life of the Mind by Robert Richardson, Jr. This is primarily how I “read” books while commuting, walking and when I’m on my rower. As mentioned above, I listen to at least one book per month on Audible. FYI—In case you were looking for them on this page, here are the links to the pages for my online programs and mentorship.